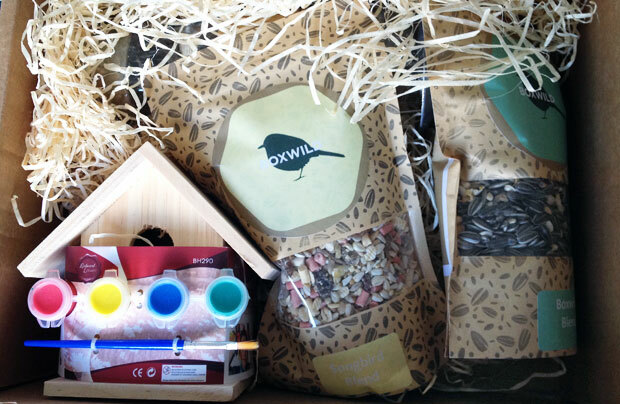 Boxwild is a company that specialises in gifts for bird lovers and nature lovers. 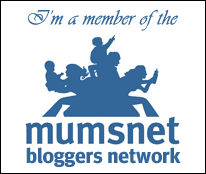 They have a lovely range of gift boxes on their website. 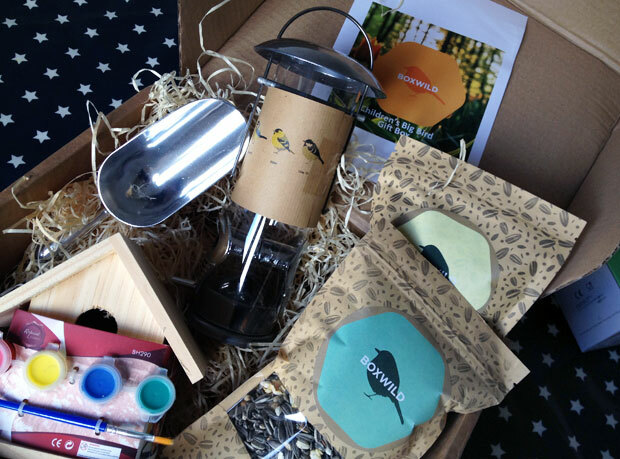 We recently got the Children’s Big Bird Gift Box which contains everything you need to get children interested in and excited about bird feeding as they get actively involved making a bird feeder for the garden. In the box, you receive a Paint Your Own Nesting Box with four paints and a brush, along with two of regular sized seasonal seed blends, a bird feeder and a scoop to make filling the feeder easy. 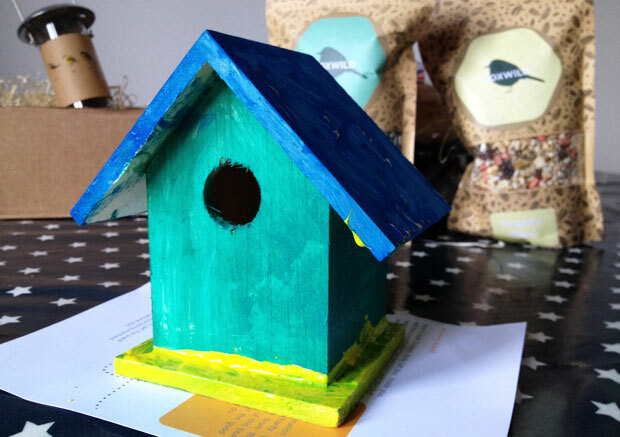 A box like this is the perfect way to inspire children to enjoy nature and birds in the garden. 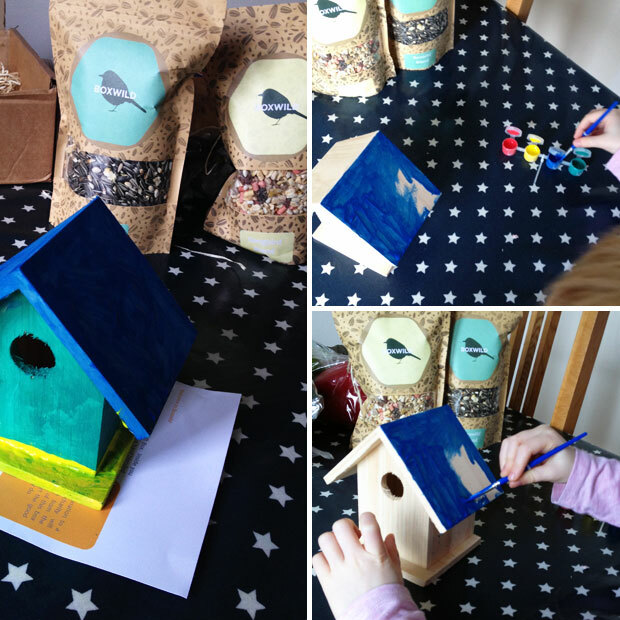 My eldest daughter had so much fun painting the bird house and she was asking lots of questions about who the house was for and who would eat the bird seeds. We then gifted the painted bird house and the feeder to her granddad who spends a lot of time in the garden and who can better answer her questions about birds. It’s a lovely little thing that they can do together when we visit granddad’s house! In your box, you also get instructions for how to use your bird feeder and nesting box and information about the different seed blends included. 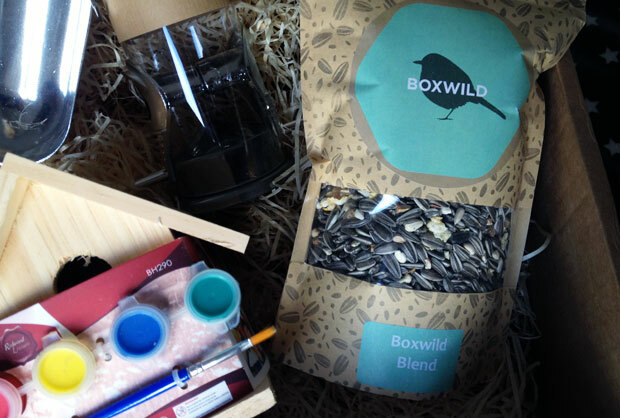 Boxwild seed blends are made in their kitchens in Surrey to give optimum nutrition for garden birds. They also make a 50p donation from every box sold to various Wildlife Charities to support the wonderful work they do which is great. Check out all the Boxwild boxes and products here. 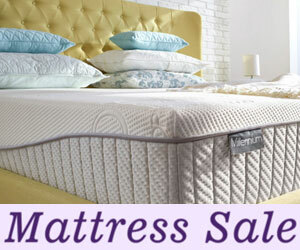 This product was provided to us for this review. 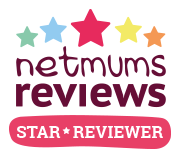 As always, all my reviews are 100% honest and all thoughts and opinions are my own.